Fully enclosed to keep little fingers out! Put the finishing touch to your Despicable Me themed bedroom with this fantastic Minions Bedside Lamp! The lamp is very safe for little ones to use and stays cool to touch even when left on for hours. All the components of the lamp are fully enclosed to stop prying fingers from touching any of the internal parts. 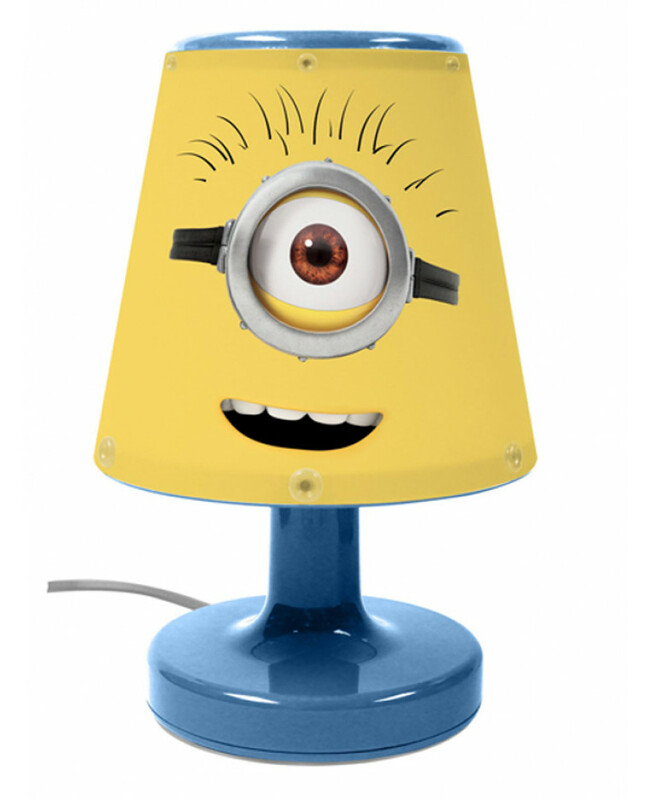 The lamp features cute images of the cheeky Minions on the shade with a blue base. Matching items are also available from our Despicable Me section to complete the look of your room!